In the National Basketball League a fledgling professional league based in the Midwest the first year Minneapolis Lakers benefit when another rival league known as the Professional Basketball League of America folds. 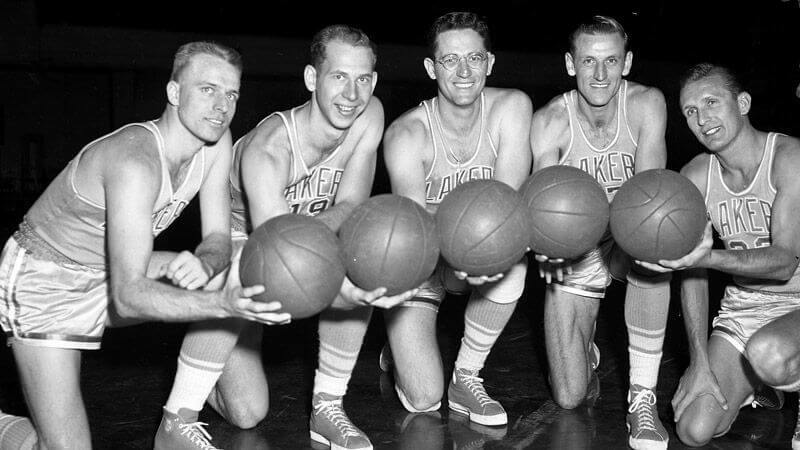 The expansion Lakers who already had a solid roster with forward Jim Pollard and playmaker Herm Schaefer, added Center George Mikan who quickly became the most dominant player in the sport. With Mikan leading the way the first year Lakers Coached by John Kundla easily won their division by 13 games with a 43-17 record. In the playoffs the Lakers continued to roll beating the Oshkosh All-Stars 3 games to 1. The Lakers would go to sweep the Tri-cities Blackhawks in 2 straight to reach the Finals. In the finals the Lakers continued their dominance beating the Rochester Royals 3 games to 1. Following the season the Lakers would move to the BAA as the two rival leagues began a merger that would form the NBA.